Well now the newest study comes out showing that TMS, Transcranial magnetic stimulation, is effective in decreasing depression in people who have been resistant to treatment from medication. 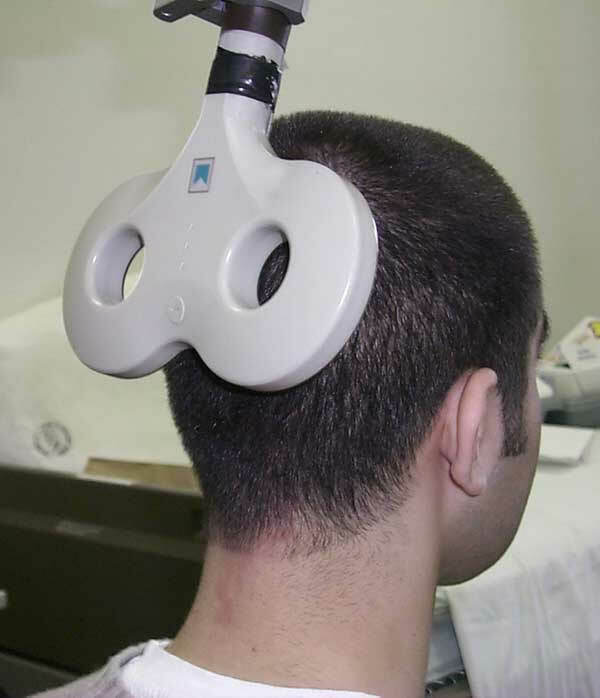 Essentially this is the use of a magnet pulsating electrical impuleses to the brain, very similar it seems to electro shock therapy used in the 50's and even to this day to shock the brain out of it's senses. Well in TMS it appears that this is a gentler way of stimulating the brain into action. Now it's time to go out to the health store and purchase one of those magnetetic pillows that have been floating around for a while touting off the health benefits that turn out to be true. If you've ever been in an MRI machine, you might have had some type of Magnetic Pulsing, some clicking, some sounds, that are similar to the system of TMS. What is promising about this type of therapy is that it's non invasive and it doesn't require drugs. The only thought that comes to my mind on this one is what kind of a brain jolt is this? I'm thinking to give it a try along with one of the SAD lights to see if I really get any happier than I am already.